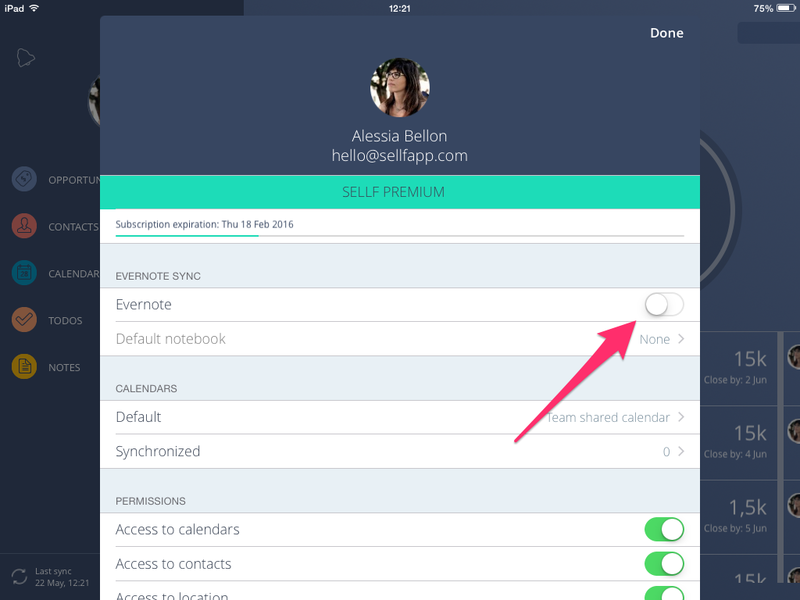 With Sellf you can integrate your Evernote account so you can carry on your most important notes! First of all, go to your settings tapping on your avatar in the side menu, then go to "Evernote sync" and activate the switch. Evernote app will ask you to enter your credentials and let Sellf to access your notebooks and notes. Then you can choose your default notebook where to save all your new notes created in Sellf. If you don't want them to be synched in Evernote by default, choose "none". When you create notes, from the deal detail or from the menu "notes", tap on the plus button at the bottom of the screen. 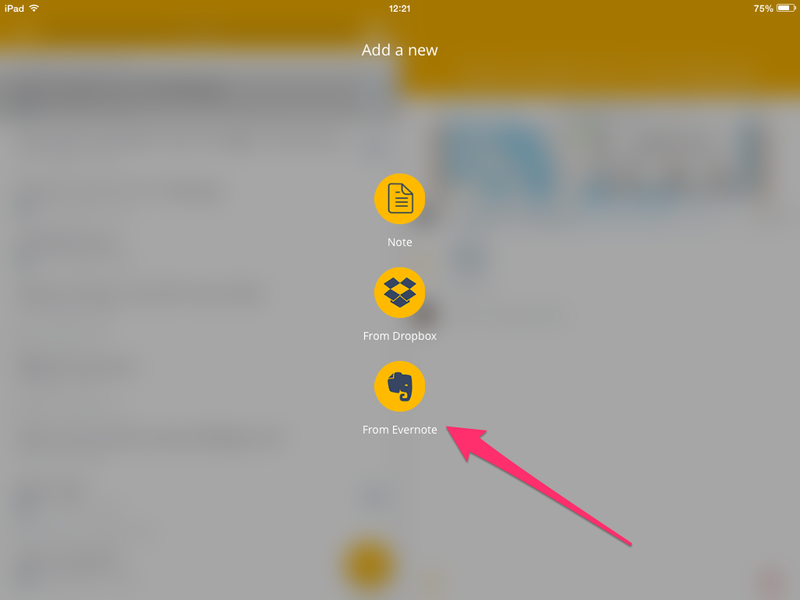 You can create a new note or import notes "From Evernote". While creating new notes, you can always decide to sync them with Evernote, tapping on "Sync with Evernote" and choosing the notebook. Just go in the Note area e click the + button, now here you can choose to ad a note from your Evernote. Remember that we haven't released Evernote integration on our web version yet.